olhovoy boards, shelves inside is also made from alder. elektrokamenki and manage air temperature in the cabin. 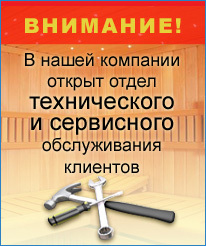 It is in this model most successfully achieved harmony starorusskogo style sauna and modern technology guy.